In 2009, my partner Andrew Modlin and I had a business that we were running together, branding, designing, and construction. We got a phone call one day from someone who will forever affectionately be known as the Blue-Haired Lady. She said that she had a marijuana dispensary on Sunset Boulevard and she wanted to talk about hiring us to provide services to her. I knew nothing. I didn't even know marijuana was a business. As I drove through the streets of LA, I was naively not understanding that the green crosses meant marijuana because I wasn't a marijuana user. We showed up at this 600-square foot dump on Sunset Boulevard and this Blue-Haired Lady, with crazy hair sticking straight up, told me she was doing $300,000 a month in revenue out of her place. I corrected her multiple times, explaining that I was trying to figure out her monthly revenue, not her annual, so we could address where to go with marketing solutions and rebranding and rebuilding. She said, “No, no, that's not my annual, I do $300,000 a month. I want to do $600,000 a month." I left there dumbfounded. So, we spent 2009 talking to lawyers, trying to find people that could give us information as to what this was because we didn't understand the legal side of it. I was 28 years old, didn't really have any money, didn't have any estate or a savings account. Andrew was 22. Nobody could give us any good answers. You would pay an ambulance-chasing criminal defense attorney $300 for an hour of his time and, at the end of the conversation, you would have nothing. All these people were pretending to be marijuana lawyers. But still our gut was: I think there's something big here, I don't understand what it is, but it just feels like there's something huge underneath this mountain. I just have to dig underneath it and figure out what it is. It wasn't even an industry yet, you didn't have sophisticated professionals involved in the space. There was still the potential risk of shut down, raid, arrest--that kind of stuff. But I asked myself: What do I really have to risk? So we jumped off the diving board into a pool in the middle of the night where we were hoping there was water. And we opened our first dispensary in Marina del Rey in 2010. It was called the Tree House. 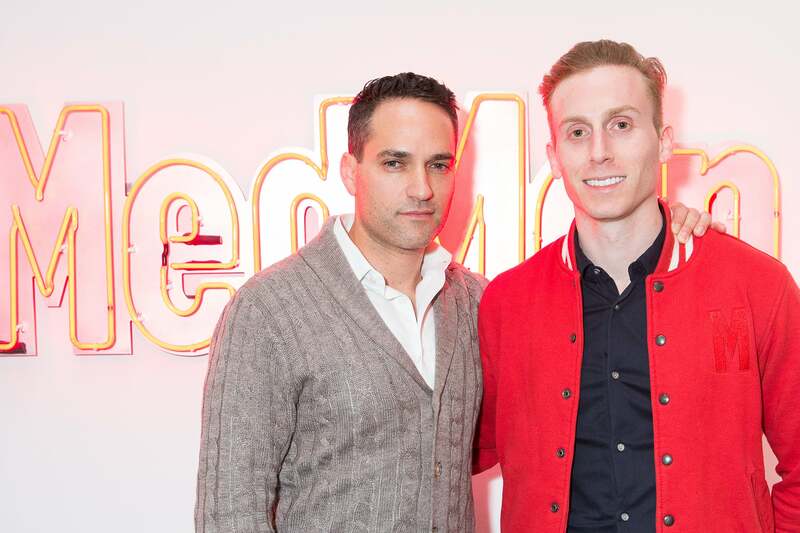 From Left: Adam Bierman and Andrew Modlin. 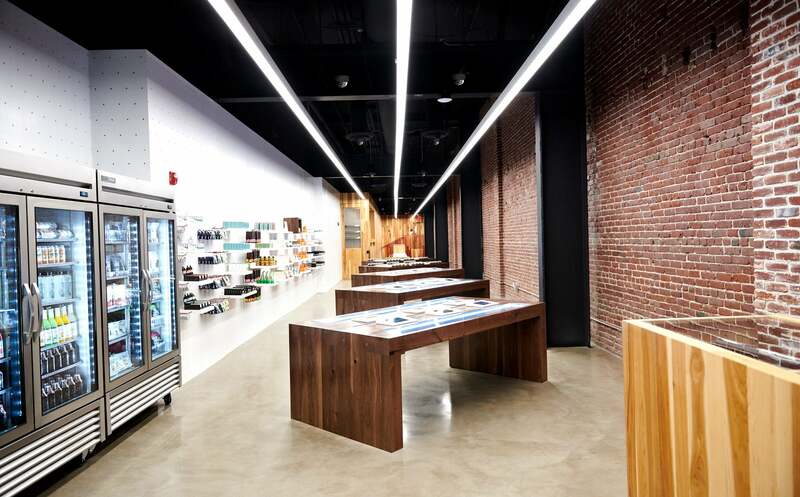 Image Credit: Courtesy of MedMen. Once we opened that dispensary the world of marijuana started opening up to us. We started building relationships and understanding what existed at that time. We went from one store to multiple stores in LA and then in Orange County, growing as well as selling. The other thing that happened that we didn't expect was that the level of sophistication of the operators and the people in the industry was so poor that we just exceeded all our expectations when it came to the actual performance of the business itself. Our purpose was never: Let's get into a gray market business in an industry we don't understand and see how much cash we can make. Instead, it was: The only way to understand what's going on is to do it and there's going be some risk attached. But let's be vigilant and let's keep ourselves out of trouble while we uncover where the true opportunity lies. And what was that opportunity? In 2013, we started getting phone calls people in Massachusetts, who told us their state was coming out with their own medical marijuana program and part of the application for the licenses was a requirement to demonstrate operational expertise in the field. They wanted help with the application. This was the first big lightbulb moment. Because if Massachusetts is going to create a regulated oligopoly with merit-based applications, I didn’t foresee how any subsequent state could do anything other than that going forward. So we divested of our assets in Southern California because, again, the intention was never to become the kingpins of the gray market, it was to learn and be exposed. We put our heads down, and we started the next iteration of the company, which was to build a management company for marijuana retailers. I couldn't find off-the-shelf software to run these businesses, so we took over two years and did nothing but build systems. We were maybe one to two months away from complete destitution, just broke as a joke because Andrew and I put everything we had into it. In some ways that was a really good moment for us because it forced me for the first time in my life to go out and raise money. I never even knew that option existed. I've been an entrepreneur my whole life. It's always been about self-funding. Talk about naivety being so important. At the time the cannabis industry was federally illegal, had no institutionality, and was so uncertain and misunderstood, it was nearly impossible to raise money from people. But I went pounding around saying I'm raising money for my weed business. I just thought, why not? Everything in this business has been, why not. Obviously, 99 percent of the people I spoke with told me I was nuts, but I found a family office out of Miami that committed a little over $3,000,000 to us. So we raised money and we went ahead and signed up a license in Nevada to manage. Then California created a path towards actually legitimizing this industry in issuing licenses and we started getting phone calls from people saying, “Hey we're going to buy a business and we want you to run it.” We're like, praise Jesus! And then our next kind of curveball got thrown. None of those investors from around the world could execute on buying businesses in California because these were nonprofits, with murky regulatory, no clear path towards license, no understanding. They're coming in from New York and they couldn't talk to, negotiate with, or even come to terms with the legacy participants like the blue-haired ladies. So that was my next setback/opportunity. I knew the blue-haired ladies. I've been in the business now for a few years. I could talk to them, negotiate the deals. Nobody understands the regulatory better than me. I've made it my mission to understand it, to build the relationships with the electives, to build the relationships with the regulators, to understand what the people wanted from a polling standpoint and always be right in the middle of that discussion. But I told the investors if I do the whole of the work using your money, I want a piece of it. So we did $30/$40 million dollars of these SPVs, where we got a GP interest, and we got the management contract. Now we're going public in Canada, where we were raised $110,000,000 on a 1.65 billion dollar valuation. And I'm just looking for the clearest path that is in front of me today that gives us the best opportunity at executing our goal, which is a $25 to $50 billion business that just happens to be in pot. It's waking up every day and saying, “I have one life to live, and I'm not comfortable with the potential of it being taken away tomorrow or ending in 20 years or 50 years with what I did when I woke up today, so you know what? When I wake up tomorrow, I'm going to do something different because it's completely within my control to decide how I live my day even though it doesn't feel that way all the time, but it truly is. If I wake up tomorrow and walk in here and say this doesn't inspire me anymore, then what am I doing here? Because life is too short. Agnostic of industry, agnostic of business or personal or social, that's just the way that I live my life. I think far too little discussion is had around that point. People wake up thoughtless and go through life and then what happens? Then they wake up one day in the middle of their lives and say, what am I doing? And now they're probably too far baked to do anything about it. The same thing applies to the industry. The one caution to this industry is you have as a professional, as an entrepreneur, you have to inform your decisions and your commitments as far as what you're going to do in business here, pretending it's not marijuana. Is that your best advice for people considering getting into the marijuana industry? I think far too often entrepreneurs get caught up in the fact that this is pot, so they forget their fundamentals because they were so excited around marijuana. That won't work. This is a real business with strong fundamentals that have sustainability and ultimately on top of it all, our industry makes the world a safer, healthier, happier place.